AKIPRESS.COM - Mongolia freestyle wrestler S.Battsetseg has won her first ever gold medal at the the 2017 Senior Asian Freestyle Wrestling Championship. The Championship is taking place from May 10-14 in New Delhi, India. S.Battsetseg is already two-time World Wrestling Champion and an Olympic Bronze medalist. 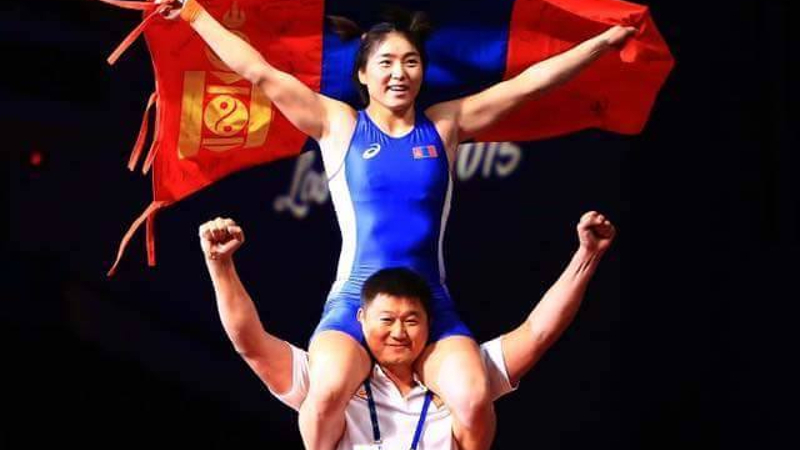 In the women’s tournament of the Asian Championship, State Honoured Athlete S.Battsetseg competed in the women’s 63 kg; another Mongolian wrestler G.Urtnasan, Master of Sports also was challenged in the women’s 75kg catergory. S.Battsetseg overwhelmed all her opponents in three rounds and in the final round she defeated her opponent - Japanese wrestler A.Gempei. G.Urtnasan won a silver medal in the women’s 75 kg category.